Employees in complex bureaucracies are also victims of the system they administer. So when organizational gatekeepers are invoking bureaucratic rules that prevent you from obtaining care, you may need to needle them with the bureaucratic structures governing them. In short, you complain to someone else in the organizational structure so that the pressure on the person or department you want to move to action comes from someone other than you. The first step, as in any legal maneuver, is to establish an achievable goal. If you are seeking to talk to a doctor or obtain a certain treatment, be clear about what it is you want. Sometimes the bureaucracy can be so annoying that you want to inflict the kind of pain on the people within it that the system has inflicted on you. This is not an achievable legal goal. Working in a large bureaucracy is its own punishment and the people who work there already know that. Figure out exactly what you want, stick to it, and stop when you get it. The next step is to use the grievance procedure established by the bureaucracy itself. Written notice of the decision that contains the name of a contact person, the steps taken to investigate the grievance, the results of the process, and the date of completion. Every medical provider that accepts Medicare must satisfy this rule. As a plan member, you have the right to get appointments and covered services from our network of providers within a reasonable amount of time. This includes the right to get timely services from specialists when you need that care. You also have the right to get your prescriptions filled or refilled at any of our network pharmacies without long delays. Kaiser's internal rules require that they must respond in thirty days (but they can get an extension of another fourteen days.) This is the process to use if you feel that you are being denied, through undue bureaucratic hurdles, care for conditions that are clearly covered. If the dispute is about whether your policy covers a certain treatment, the process is different and far more complex. I suggest wording the complaint in a form that suggests you are being denied timely care due to bureaucratic delay. Providence Hospital has a long statement of rights, which includes "The right to voice complaints about the care, and to have those complaints reviewed and when possible, resolved." The website further states that "a formal grievance may be filed at the hospital’s quality management department office." It is unrealistic for me to give the contact information for each hospital, but the idea is the same. The hospital takes Medicare, thus it has to have a formal grievance procedure. Begin by using it. This sets in motion mandatory bureaucratic processes that take up time and energy. With a little luck someone will determine that giving you what you want is less work than doing all the procedural steps necessary to fully comply with the Medicare grievance procedures. If this does not work, it may be time to make your complaint to outside agencies. My next post will provide a framework for how to do that. 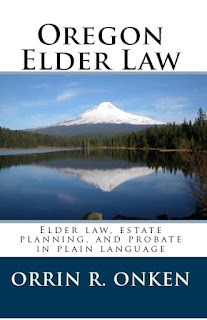 I have often told people that my job as an elder law lawyer is to maneuver within complex bureaucracies. The complex bureaucracy I deal with most often is the court system. However, I also work with with title companies, life insurance companies, Medicaid, Social Security, Veterans Administration, and stock transfer agents. Each of these worlds has its own rules and traditions. To my mind, however, the deepest and most impenetrable bureaucracies surround healthcare. The rules and procedures that govern interactions with hospitals and large health care providers are some of the most frustrating of any I have ever encountered. I read complex legal documents for a living. Nevertheless, I am still today incapable of understanding a medical "explanation of benefits." I once got a bill from a dentist that was so cryptic that I had to write the office to ask how much I was supposed to pay. For my elderly clients, I have come to believe that the deep entrenched bureaucracies surrounding health care may have become so impenetrable as to constitute elder abuse. 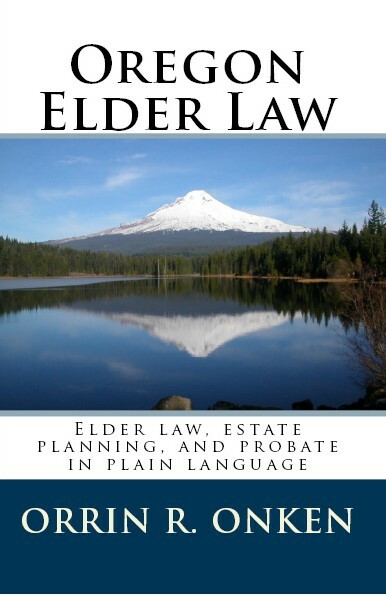 With this in mind, I reviewed the Oregon elder abuse statutes. There wasn't much help. The statutes didn't clearly apply to abuse by red tape, but even if they did, health care facilities are exempt from Oregon's elder abuse statutes. I am technologically skilled, educated, and generally considered a high functioning American. Nevertheless, I am regularly stymied when trying to obtain health care. I will pick on Kaiser Permanente here because that is where I go. Last month I needed a refill for a prescription I have taken for years so I could take the medicine on vacation. I began on Monday with a call the pharmacist. By Friday, many telephone calls later, I had the folks at Kaiser swearing they had delivered the renewal to the pharmacy. The pharmacy swore they had received no such thing. Using the flexible phone system in my office, I called both and patched them together on the same phone call so that they could speak to each other. I was promptly informed that Kaiser could not speak to the pharmacy if the conversation was on the patient's phone. One of my clients had back pain. She cried hard enough over the phone about the pain that she was allowed an MRI to see what was wrong. She had the MRI and was eagerly awaiting a message from her doctor as to the results. Instead, she got a call from the office of a surgeon attempting to schedule a surgery she knew nothing about. So what to do? Not much. I do, however, have a couple of suggestions. When a large bureaucracy is giving you problems, it is often useful to change the method of communication of the angle of approach. If phone calls are not working, try email. Sometimes just a change in the communication channel produces results. It is odd, but it is a true. Write a letter. Some folks will be impressed that you took time to write in this technological age, but it may work. Have an agent, friend or lawyer call on your behalf. You will have to provide a release to allow them access to records, but an assertive friend may have success where you did not. Try to talk to someone else. My studies in organizational theory suggest that organizations employ gatekeepers to protect the "us" who belong to the organization from the "them," who don't. If you bump into a particularly tough gatekeeper, try to find a different one. If these don't work, you may need to take a more aggressive stance. Most commonly these approaches will be taking advantage of the fact that the people who work within large bureaucracies are also victims of bureaucratic complexity. There are another set of rules and expected behaviors that vex them, just as much as the ones they enforce vex you. In my next post, I will address some strategies that use this aspect of living and thriving in a highly bureaucratic society.